We sail from Oqaatsut. We recommend that you put a bottle of white wine in the fridge at home beforehand. You’re going to need it! 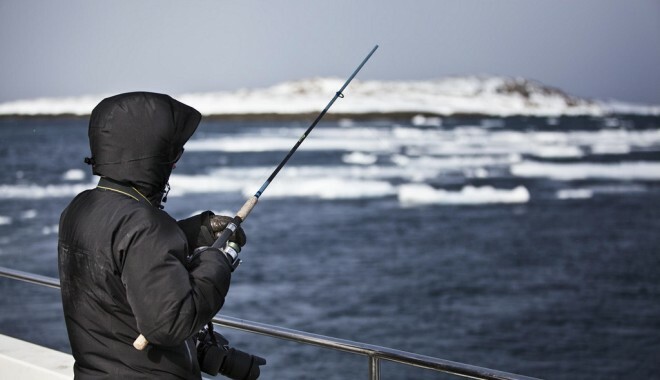 The coastal waters of Oqaatsut are home to many different species of fish – halibut, cod, catfish, Greenland fjord cod, sculpins, red fish, dab. In summer, especially from mid-June to early July, capelin (a small fish of the smelt family) arrive at the coast in huge shoals to spawn. They are so numerous that the fish can be harvested on the beach with bare hands or in nets. We sail out to the best fishing spots to fish for cod (jig-fishing) or whatever other catch the sea has to offer on the day. With a bit of luck we’ll catch cod and other fish that we then bring back to the settlement. After all, who doesn’t love fresh fish for dinner? Depending on the time, we set our course for waters where the capelin spawn and where we can gather them by the sackful. They are usually dried on the rocks and are chock full of vitamins. Anyone can take part in this adventure-filled trip in stunningly beautiful surroundings. We serve coffee and tea on board. If you’d like to fish you’ll need to buy a license. The cost of this is not included in the price. A license can be purchased from North Greenland Adventure and costs 75 DKK for one day, 200 DKK per week, or 500 DKK for a month. Wear warm clothes – even in summertime. Price: DKK 595,- per person.